I'm Daena and I'm thrilled and slightly skittish about joining Linda's One Room Challenge (ORC)! Over the years I've perused her blog, Calling it Home, on Wednesdays and Thursdays to admire the progress of designers, bloggers, and neophyte home stylists in the designing of their one room over a 6 week span. I have to laugh at myself because I am totally new to blogging, editorially, and had the bright idea to choose this event as my foray into "blogworld"- as if there aren't enough responsibilities with the design of this space & completing the ORC. 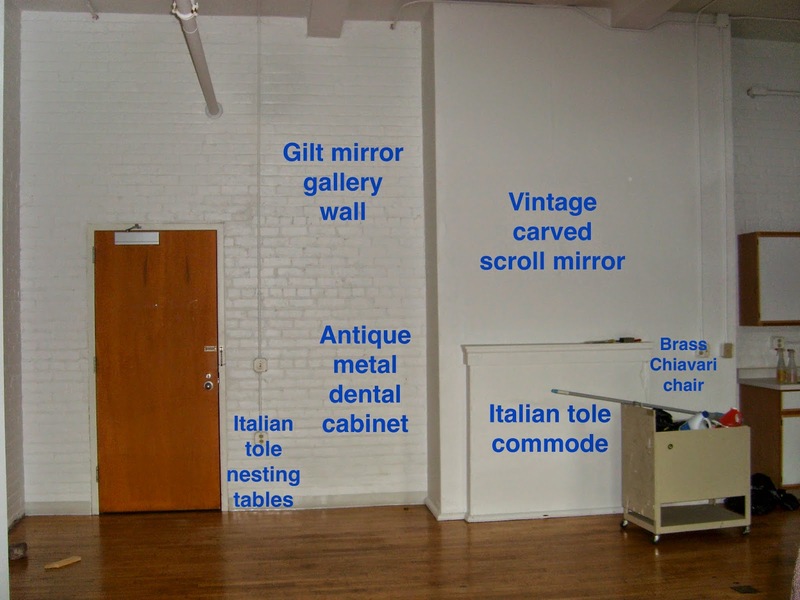 I've used this blog space (and it's generic template), primarily, as a catalog to feature the antique and vintage furniture that I sell and have been selling for the past 7 years. So, if anyone knows any great blog/website designers PLEASE leave their info in the comments! Feel free to stop by anytime, I'll be posting here, each Thursday, for the next 6 weeks during the challenge, documenting each step of my progress- the highs & the lows. The MAIN purpose of my participation in the ORC is to keep me on target with getting my apartment in shape- QUICKLY. 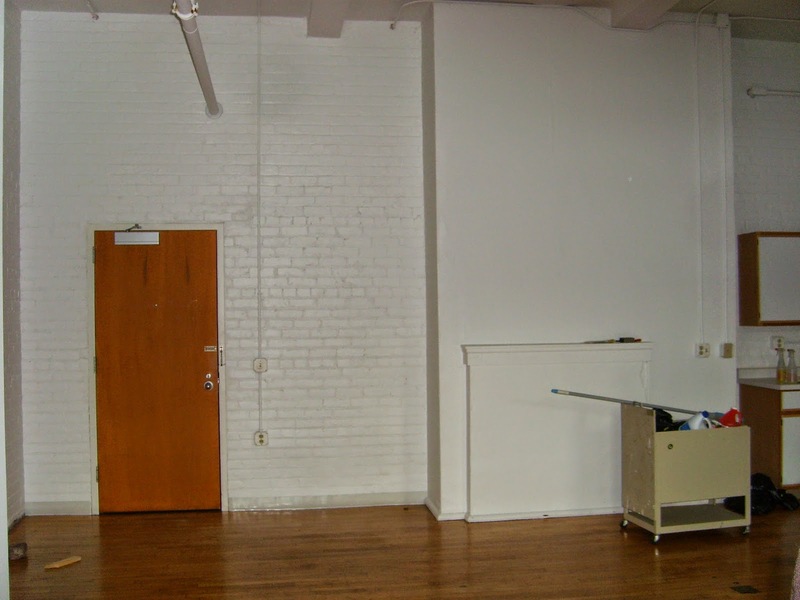 I've lived my incredible one bedroom, 1,336 square foot loft apartment with 15 foot ceilings, EMPTY, for over 7 months! I figured that I would "feel the space" in order to learn what it needed and what I need for my comfort, BEFORE moving in all my furniture. Living with NO furniture was a tough endeavor, however, it's made me decisive in terms of to what to select to fill the space. Now that I know and have decided what I need, I'll be shopping my inventory/storage units for furniture & accessories. Did I mention that I'll be moving furniture from Chicago, where I maintain a couple storage units, to my apartment in Duluth, MN???!!! I admit, from time to time I'm haunted by Alex Papachristidis who when asked about the efficiency of the move into his new apartment answered, "...the apartment basically looked like this in two days. I have a major, major issue about every box being out of the house within the first week. My theory is that if you leave boxes in the house for more than a week, it’s going to be there for another six months. You have to have a chair, a broom, a whip and a duster." Have you seen his home???!!! Now, I know dear Alex probably moved into a 12 room apartment and had a staff of 25, at his disposal, to delegate the duties of situating, arranging, implementing the design plan/vision of his home. Whereas I, on the other hand, live in a 2 room apartment (not counting the bathroom), and have a staff of 3- me, myself, & I! Ha! This is just too funny to me, nonetheless, I'm still haunted by admission and his rule! The wallpaper! How many chairs, pillows, paintings, pieces of wall decor, and tchotchkes do you think dear Alex has??? Does anyone have a better word than "tchotchke"? I KNOW dear Alex does NOT refer to his knickknacks (sorry, dear Alex!) as "tchotchkes". Can you imagine the infinite number of packaging materials- popcorn, corrugated paper, and bubble wrap, once unpacked? 2 DAYS???!!! The sheer number of books packed, unpacked, categorized, and alphabetized that dear Alex has in his library (& I didn't even post a photo of his actual library) is daunting to my dreams! His bedroom became a secondary library! TWO DAYS???!!! Ok, enough about my dear Alex and back to my humble abode. 2 DAYS???!!! Thank goodness I have 6 weeks because I know I will need every second of those 6 weeks. I just want to show everyone some shots of the living space. The door on the right is the bedroom and the door on the left is the bathroom. Perhaps I'll get to those rooms during the next ORC, granted of course, if I make it through this one with all my faculties in tact! The dark gray squares in the wood flooring are filled with concrete; it's actually a really cool, industrial look. I have a STRONG dislike for builder-grade/stock cabinets! Major HATE! As soon as I saw this unit I knew I'd be ripping them out have them carefully and professionally removed so that the next tenant can utilize them (in order for my security deposit to be returned)! I have tons of meal preparation items, spices and other food stuff, that I store in clear glass apothecary jars that need to be seen; hence the open shelving idea. Honestly, shelving will give me more square footage than the cabinets and open shelving will allow me to see all my ingredients. Plus, it feels really dark in that area with the cabinets looming. The only light source, in the kitchen space, is a fluorescent rectangular box 15 feet up! I also envision a stainless steel worktable in the area to use as an island. Maybe a wonderful, colorful runner between the counter & the island, extending from the sink to the end of the island? I'm considering but I'm a bit on the fence about using a gorgeous (of course) vintage wool rug in the kitchen. What are your thoughts about vintage/antique wool rugs in the kitchen? Maybe I should just get one of those padded chef runners- ha! The left side of this closet wall is going to be used for my office area. I have a very chic Milo Baughman desk that I'm going to have refinished to go in the space with a pair of these lamps on it (I'll have to tell you all the story about my acquisition of these coveted pieces in another post). Above the desk, will hang a mirror from the 40's, and most likely, to the right of the desk, I'll place a metal barrister bookcase (that I need to strip & refinish) for additional storage. 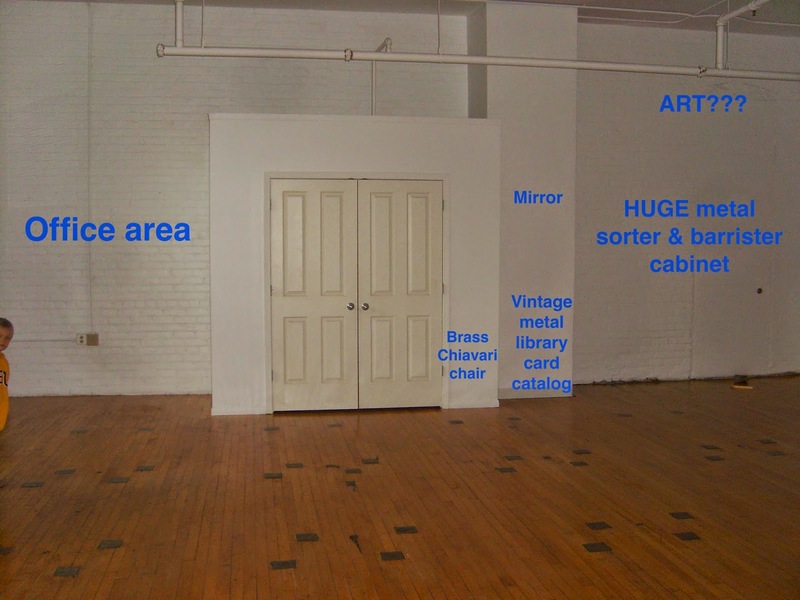 To the right of the closet, an ENORMOUS metal sorter table (with a bench underneath) will be situated and to the right of that will be a metal barrister cabinet (does not need stripping/refinishing- thank goodness!!!). Along the entry door wall I'm going to showcase my collection of mid century Italian tole furniture and mirrors. Above the faux fire place (HATE it but won't remove it!) I have an espresso stained, vintage walnut mirror that I think will tone down the gilt! Ha! 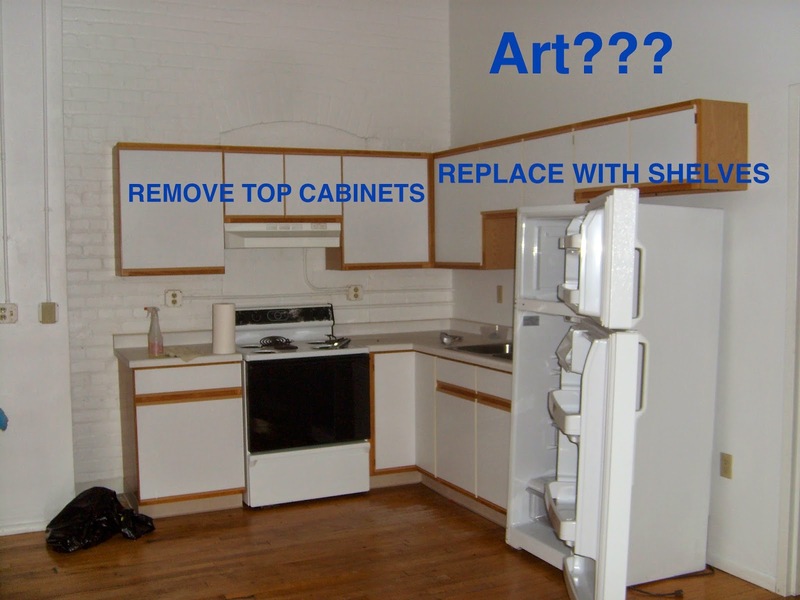 -Find someone to remove cabinets & hang shelves! The main hurdle, as I see it, is managing expectations; MY expectations (of myself), that is. If I keep MY expectations (of myself) low, my stress factor stays low. I'm only one woman- ha! I can only do so much. Do I expect to get EVERY single task accomplished on my list in 6 weeks? Helloooooo, Ms. I'm going to strip 4, 5 stack metal barrister bookcases AND ceruse a pair of chairs AND refinish the 4 sandblasted metal cabinets after running all around Chicago for 3 weeks once I get back to Duluth!!! Now, the expectations that I have of the craftspeople is a TOTALLY different subject! I'm going to hold them to their promise dates; I MUST! Do you hear me, Mr. Upholsterer, who SWEARS he can upholster 14 pieces of furniture in 10 days!!! He's actually the only one who makes me a little nervous! Everything else is gravy, right? The biggest task is to get everything MOVED, from Chicago, into the Duluth apartment in 3-4 weeks! 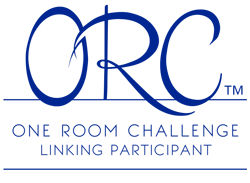 I'll keep you posted, each Thursday, at the One Room Challenge! Thank you for visiting me & PLEASE, send me your good vibes! WOW! Has anyone ever called you an overachiever? SO looking forward to your journey! Thank you, Denise! Your comment. has made me laugh so hard! If I can accomplish HALF- well, maybe, 3/4 of my list, of my list I'll be the over achiever of the year! LOL! Thanks a million for visiting me, you're welcomed anytime! I PROMISE that I'll post on next Thursday! Hope to hear from you! I can't figure out how to post a reply to your latest! In a word(s) - OMG IMPRESSIVE! How many hours are in your day? (BTW would you be willing to use a first name? Doesn't have to be yours, but it's nice talking to a person.). Ok, after seeing this week, I'm thinking you might just pull this all off! Hey Denise! Maybe you missed me saying, I'm Daena (real name- lol! ), in this particular post (1st sentence). I know I can be a bit long winded! My honey told me that I should write less and, actually, I have! HA! I just remembered I didn't restate my name in the 2nd post, I'll have to correct that. Well, I have a pretty good idea of what will NOT be completed in this challenge & thank goodness I'm ok with that. This challenge is to get my momentum going and it is! It really helps that I have a crew of guys at my disposal that I've worked with for years to help me with labor, it's the toughest part. Also, if I didn't know WHERE to go for all the services that I need I wouldn't even know where to begin. I just hope my "vision" interprets well and makes sense to me- LOL! I really appreciate you visiting my pages and commenting, Denise, thank you so very much! p.s. It only took me a couple/few days to accomplish what I have so far- we usually start by 7am. ���� you did tell us your lovely name! Shame on me - and it wasn't the wine, just speed reading. Nice to meet you Daena. Ps what am I doing incorrectly that I can't seem to comment on Week 2 spot? Thanks so much for letting me know that you were unable to make a comment!!!! Let me know if you're able to now, I've turned the comments on. You're too funny- "wasn't the wine"! I love it!!! Hi Daena. Welcome to blogging! If you scroll to the bottom of blogs you like, you can usually find the name of the blog designer. When you select an image to upload, once it is on your blog in edit, hit 'large' or 'ex-large' to make your images fill the space. You can go to 'preview' (it will open in a new window) to see if you like the look before you hit publish. Go into edit, and experiment with some older posts. I think you will like how it looks. So many of us have been doing this for so long, we take all this info for granted. It's fun to see someone jumping in! Thanks so much for the hint, Linda, I will experiment, in the future. I made the error on the title of my week 4 "link-up" on your site, I'm #8! I hope "ROOM" (I spelled it ROM) can be corrected.